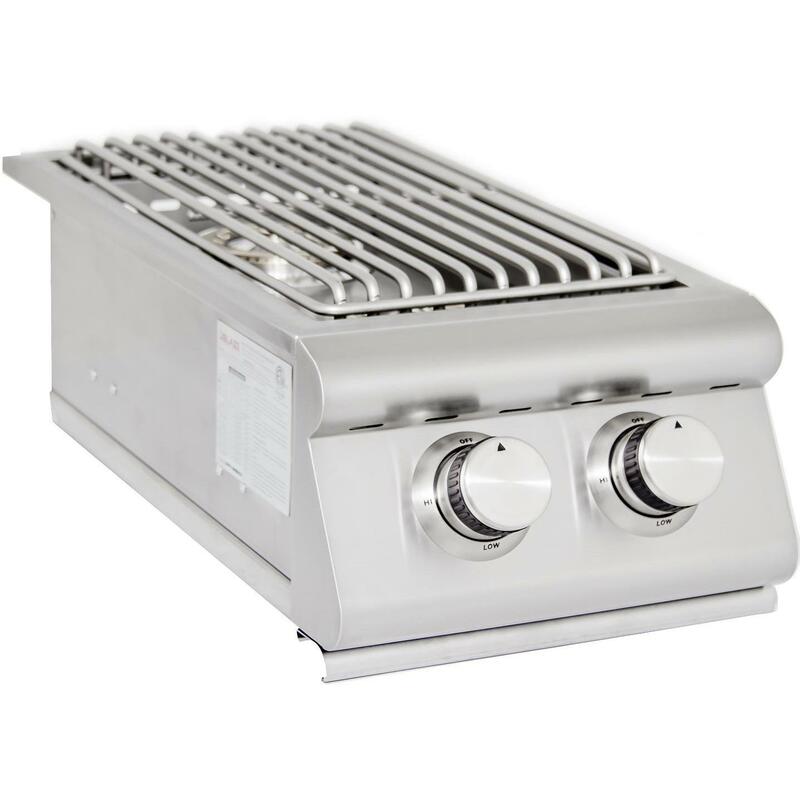 Product Description: Blaze Built-In Propane Gas Stainless Steel Double Side Burner With Lid - BLZ-SB2R-LP. The Blaze Propane Gas Double Side Burner features two heavy duty 12,000 BTU brass plated burners for enhanced performance and superior heat retention. 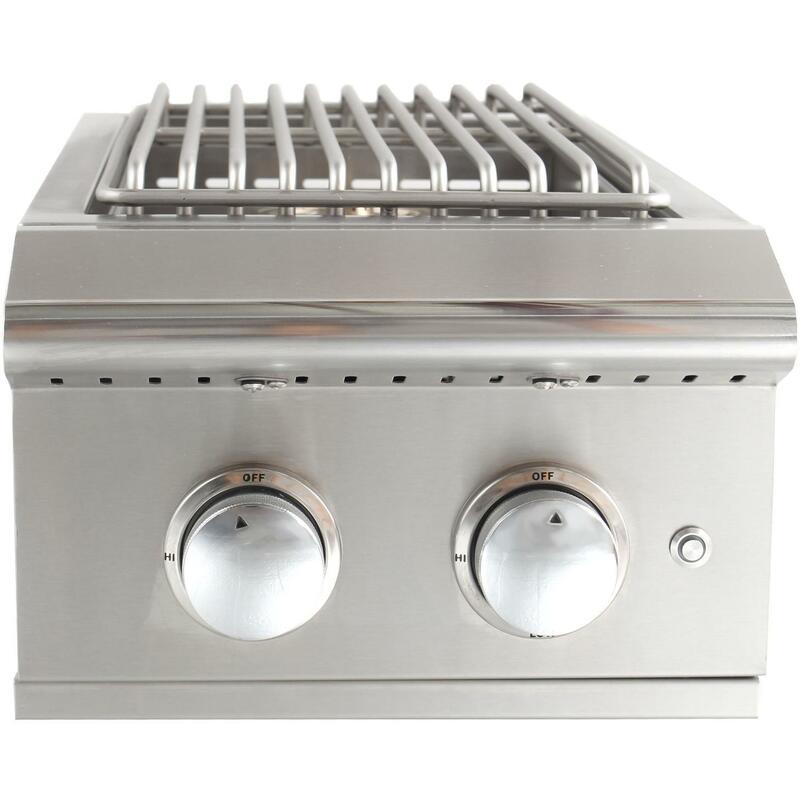 This precision cut side burner is made of stainless steel and will provide you years of outdoor cooking enjoyment. The side burner features a raised cooking grate which helps provide better airflow around the burner for optimal cooking performance. The stainless steel cover protects the burner when not in use and features a curved handle to match other Blaze products. Ignition is made easy with push and turn knobs that offer a reliable flame with every start and the full-width drip tray makes clean up a breeze. If you are looking to create a gourmet outdoor meal complete with soups or side dishes, a built-in side burner is the ideal addition to your outdoor kitchen.